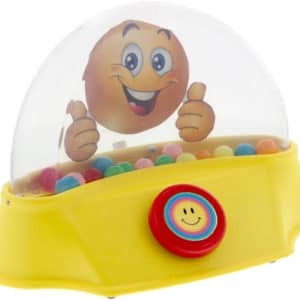 Pressing the large red button on the front of this device sends the balls tumbling around while music plays, lights shine and the unit vibrates. Original Price: $195.95. FINAL SALE - NON-RETURNABLE. A multi-sensory extravaganza! 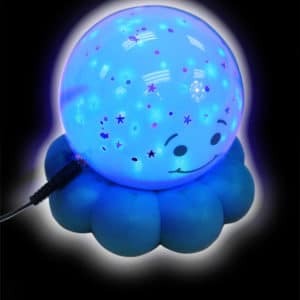 Just press its bright yellow textured switch and this toy sends colorful sparkles flying while it plays music and lights up. PLEASE NOTE: This item ships Ground only. A perfect pair of friends! Theo is a brown bear that sings “Lovely Day” and Rio is the gray squirrel that likes to dance along. Can therapy really be this much fun? 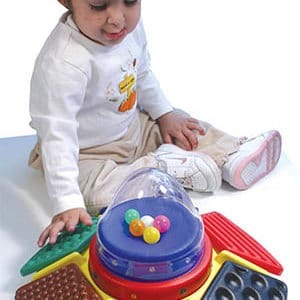 This colorful and versatile activity center provides tactile, visual and auditory stimulation while developing finger isolation, reaching and grasping skills. PLEASE NOTE: This item ships Ground only. 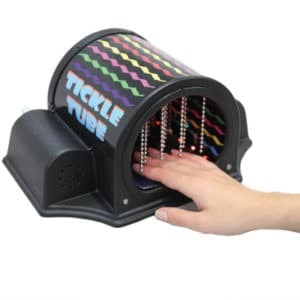 A multisensory experience in a tube, this truly unique toy features bead chains, gooshy pad, colorful blinking lights, music, vibration and a mirror! Original Price: $215.95. FINAL SALE - NON-RETURNABLE. 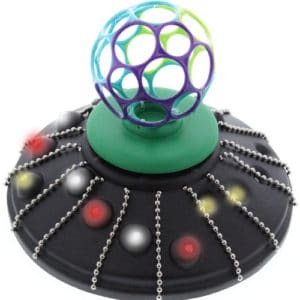 A visual, auditory and tactile celebration, this incomparable toy sends colorful beads cascading through its clear, rotating tube while multi-colored lights blink and six rocking tunes play when you activate the switch. PLEASE NOTE: This item ships Ground only. 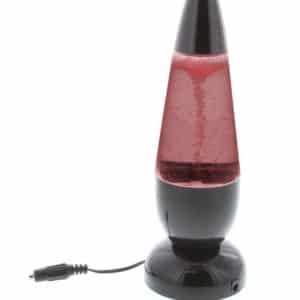 Create a whirlwind of color and curiosity with this color changing vortex lamp when you press and hold your switch. 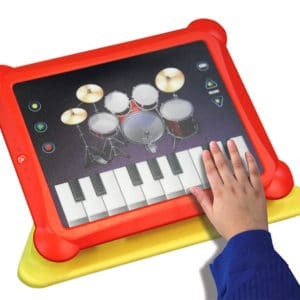 Everyone’s a musician with our touch screen, light-up piano and drum set. 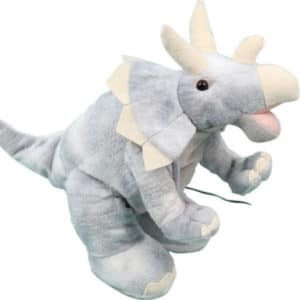 Activate your capability switch and this adorable dinosaur will come to life. Let there be light! This adapted illuminator reflects an enchanting, yet calming pattern of stars and fish in blue or green that’s perfect for your sensory room. 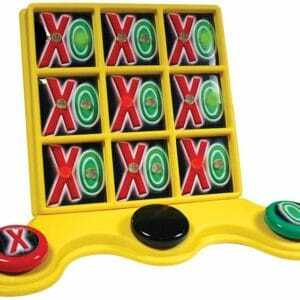 The possibilities are endless with this engaging multi-sensory toy. 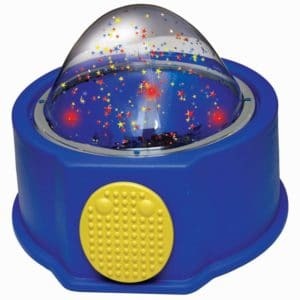 Turn the dome and select one of four different activity centers—each with its own theme. Original Price: $269.95. FINAL SALE - NON-RETURNABLE. 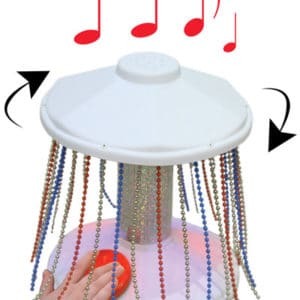 Whether it’s in the home or the classroom, this delightful water toy is bound to be a hit. Use two of your switches for two different activations: one that makes the water swirl around the colorful pond; the other that turns on lights and music. 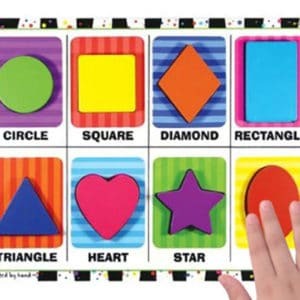 Ideal for the blind and visually impaired, this unique puzzle teaches shape recognition by having students match its eight colorful, textured shapes to their proper places on the puzzle board. 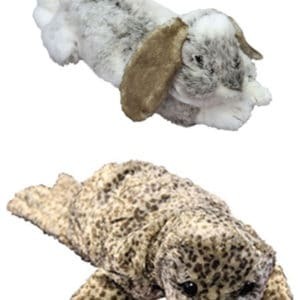 Give a hug and these soft, cuddly animals will gently vibrate, providing somatosensory stimulation and relaxation. We could watch for hours! 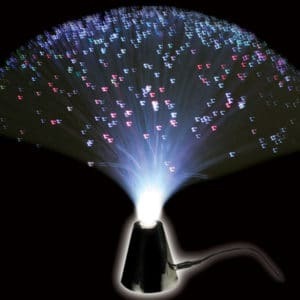 Activate your switch and see vibrating fiber optic strings swirl and reflect changing colors of red, green, blue and purple. Play is one of the most crucial aspects of childhood and early learning. Toys help children explore their world, but they don’t always come in accessible forms for those with special needs. At Enabling Devices, we believe that everyone deserves to have fun. That’s why we sell hundreds of accessible toys for babies, children and adults with mental and physical disabilities. 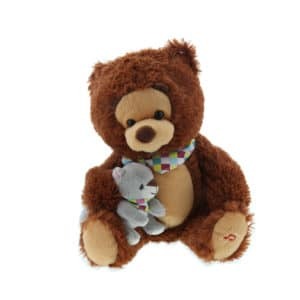 Keep reading to learn more about toys for people with disabilities, or browse our products below. Children and adults with disabilities understand and discover the world differently than people without disabilities, but many toys and gadgets don’t cater to these perspectives. Accessible toys let individuals with disabilities interact with the world in a way that makes sense. They also help loved ones join in on the play and learn about these different viewpoints. For example, a toy that lets someone with autism count and sort objects for fun allows the loved one to understand this way to play. 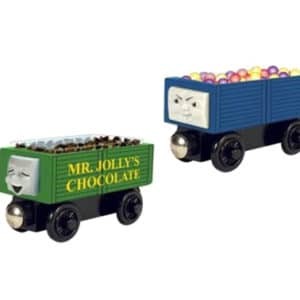 Who Benefits From Accessible Toys? Parents and families: Many families buy educational toys for their handicapped children to use at home. Special education professionals: Teachers and therapists who serve children with special needs use our toys to teach them new ideas and skills. Occupational and speech therapists: Certain toys and devices let therapists guide speech and train muscles. Care organizations: Day programs, disability service centers, assisted living facilities and other facilities that care for people with disabilities use play in their programming. Everyone learns through play, and playing lets people with disabilities learn skills on their terms. Accessible toys and products offer a number of benefits, including the following. Play allows children and adults with mental disabilities to communicate and share with others. Special education students can pass around music toys to create something new together. If someone can’t express their feelings through language, they can show their reactions to sensory toys and new experiences. Playing with others lets people learning social skills see how others share ideas. Disabilities such as ADHD and autism can cause someone to feel over- or under-stimulated easily. As a result, they experience anxiety, focus issues or hyperactivity. Fidget/”stim” toys and sensory toys offer the stimulation or relaxation needed to feel calm and focused. People with all types of autism, ADHD and other disabilities benefit from these devices. People with disabilities can improve their fine and oral motor skills through play. 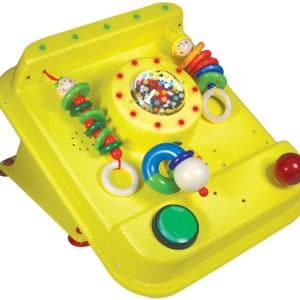 Toys that encourage grasping, hand-eye coordination, chewing and manipulating the mouth help someone develop these capabilities. They also strengthen the muscles used to play with these toys. 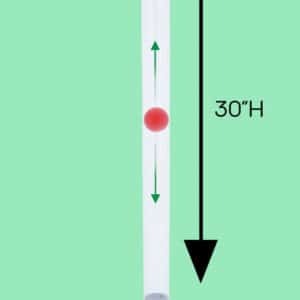 Visual impairments and blindness make it challenging to keep track of an object’s position. Devices and toys that create bright colors and enticing sounds promote visual tracking and attention because they stand out. Adaptive switches made for people with visual impairments teach them how to use technology with their abilities. People without disabilities use puzzles and other brain teasers to keep their minds sharp. So do people with disabilities! They can use a wide range of toys and devices to stimulate their minds and learn cause and effect and how the world works. 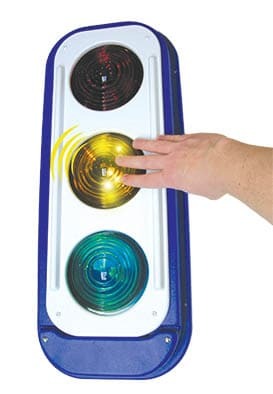 An adapted toy activates with an adaptive switch. Adaptive switches let adults and children with disabilities interact with electronics with a button press, eye blink, mouth puff or other motion. 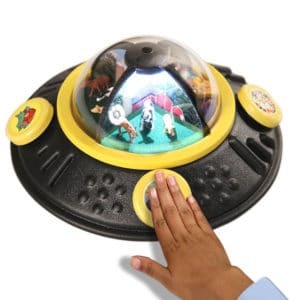 The user can use their switch to tell the toy to move, make sounds or flash lights. 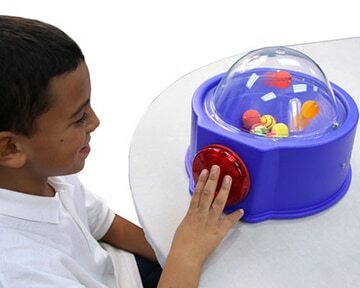 Sensory toys and devices stimulate any of the five senses for someone who needs to feel a certain sensation. Some of them relax and soothe, while others offer an intense sensory response. Ask us about our sensory room design and quote services if you need help creating the ultimate sensory space. 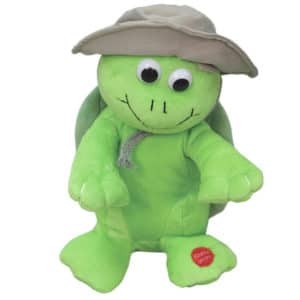 Soft play toys and cushions create a comfortable and safe place for someone to play and relax. They can provide a tactile experience or offer protection for a child who needs to move with extra cushioning. Communication devices enable children and adults who are non-verbal to “speak”. These tools not only give them a voice but can also be used as teaching tools, building a person’s language skills starting with one message, moving on to two message choices, and so on. Many of our products also make communicating fun with bright colors, custom recorded messages and tactile experiences. People of all ages and abilities can use these devices to communicate with others. We see characters like Peppa Pig, Mickey Mouse and Elmo all over the place, but their interactive toys don’t always have compatibility with adaptive switches. Children with disabilities deserve to play with the same toys as their peers. To help, our team switch-adapts favorite children’s toys so that everyone can enjoy them. Everyone should have the chance to play with the toys and devices they like and need. If you have a certain adapted product in mind but can’t find it, let us make it for you! We develop most of the products we sell ourselves and take custom orders including switches, communicators, mounts and more. In fact, many of the devices we sell came about because someone needed a custom product. Our design experts will happily make it for you. Contact us to learn more about this process. 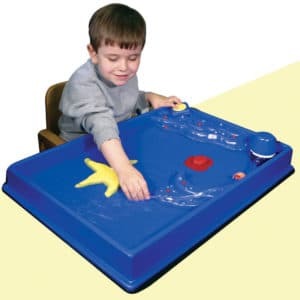 Take a look at our toys and devices for special needs play on this page. You can also click the “Product” section of our top menu to look for the type of play you need. We offer a number of easy ways to order the adapted toys you need. We are grateful to share in your enabling journey.